780004ERL 1/4 SOLD BY THE FOOT IN CONTINUOUS LENGTH. Push-On Hose. Black. Use Earl's Push-On Hose Ends. 780006ERL 3/8 SOLD BY THE FOOT IN CONTINUOUS LENGTH. Push-On Hose. Black. Use Earl's Push-On Hose Ends. 780008ERL 1/2 SOLD BY THE FOOT IN CONTINUOUS LENGTH. Push-On Hose. Black. Use Earl's Push-On Hose Ends. 780010ERL 5/8 SOLD BY THE FOOT IN CONTINUOUS LENGTH. Push-On Hose. Black. Use Earl's Push-On Hose Ends. 780012ERL 3/4 SOLD BY THE FOOT IN CONTINUOUS LENGTH. Push-On Hose. Black. Use Earl's Push-On Hose Ends. 520004 -4 SOLD BY THE FOOT IN CONTINUOUS LENGTH. XRP Push-On Hose. Black. Slightly Textured Outer Wrap. Use Aeroquip or XRP Push On Hose Ends. 520006 -6 SOLD BY THE FOOT IN CONTINUOUS LENGTH. XRP Push-On Hose. Black. Slightly Textured Outer Wrap. Use Aeroquip or XRP Push On Hose Ends. 520008 -8 SOLD BY THE FOOT IN CONTINUOUS LENGTH. XRP Push-On Hose. Black. Slightly Textured Outer Wrap. Use Aeroquip or XRP Push On Hose Ends. 520010 -10 SOLD BY THE FOOT IN CONTINUOUS LENGTH. XRP Push-On Hose. Black. Slightly Textured Outer Wrap. Use Aeroquip or XRP Push On Hose Ends. 520012 -12 SOLD BY THE FOOT IN CONTINUOUS LENGTH. XRP Push-On Hose. Black. Slightly Textured Outer Wrap. Use Aeroquip or XRP Push On Hose Ends. FBN0400 -4 SOLD BY THE FOOT IN CONTINUOUS LENGTH. Aeroquip Push-Lok Hose. Black. Slightly Textured Outer Wrap. Use Aeroquip or XRP Push On Hose Ends. 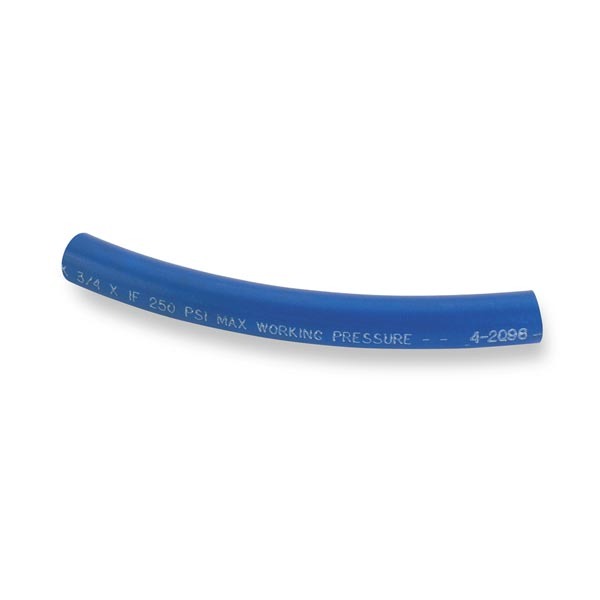 FBN0600 -6 SOLD BY THE FOOT IN CONTINUOUS LENGTH. Aeroquip Push-Lok Hose. Black. Slightly Textured Outer Wrap. Use Aeroquip or XRP Push On Hose Ends. FBN0800 -8 SOLD BY THE FOOT IN CONTINUOUS LENGTH. Aeroquip Push-Lok Hose. Black. Slightly Textured Outer Wrap. Use Aeroquip or XRP Push On Hose Ends. FBN1000 -10 SOLD BY THE FOOT IN CONTINUOUS LENGTH. Aeroquip Push-Lok Hose. Black. Slightly Textured Outer Wrap. Use Aeroquip or XRP Push On Hose Ends. FBN1200 -12 SOLD BY THE FOOT IN CONTINUOUS LENGTH. Aeroquip Push-Lok Hose. Black. Slightly Textured Outer Wrap. USe Aeroquip or XRP Push On Hose Ends. 790004ERL 1/4 SOLD BY THE FOOT IN CONTINUOUS LENGTH. Super Stock Hose. Blue. Use Earl's Push-On Hose Ends. 790006ERL 3/8 SOLD BY THE FOOT IN CONTINUOUS LENGTH. Super Stock Hose. Blue. Use Earl's Push-On Hose Ends. 790008ERL 1/2 SOLD BY THE FOOT IN CONTINUOUS LENGTH. Super Stock Hose. Blue. Use Earl's Push-On Hose Ends. 790010ERL 5/8 SOLD BY THE FOOT IN CONTINUOUS LENGTH. Super Stock Hose. Blue. Use Earl's Push-On Hose Ends. 790012ERL 3/4 SOLD BY THE FOOT IN CONTINUOUS LENGTH. Super Stock Hose. Blue. Use Earl's Push-On Hose Ends. 340004 -4 SOLD BY THE FOOT IN CONTINUOUS LENGTH. XRP Push-On Hose. Blue. Slightly Textured Outer Wrap. Use Aeroquip or XRP Push On Hose Ends. 340006 -6 SOLD BY THE FOOT IN CONTINUOUS LENGTH. XRP Push-On Hose. Blue. Slightly Textured Outer Wrap. Use Aeroquip or XRP Push On Hose Ends. 340008 -8 SOLD BY THE FOOT IN CONTINUOUS LENGTH. XRP Push-On Hose. Blue. Slightly Textured Outer Wrap. Use Aeroquip or XRP Push On Hose Ends. 340010 -10 SOLD BY THE FOOT IN CONTINUOUS LENGTH. XRP Push-On Hose. Blue. Slightly Textured Outer Wrap. Use Aeroquip or XRP Push On Hose Ends. 340012 -12 SOLD BY THE FOOT IN CONTINUOUS LENGTH. XRP Push-On Hose. Blue. Slightly Textured Outer Wrap. Use Aeroquip or XRP Push On Hose Ends. FBV0400 -4 SOLD BY THE FOOT IN CONTINUOUS LENGTH. Aeroquip Push-Lok. Blue Hose. Slightly Textured Outer Wrap. Use Aeroquip or XRP Push On Hose Ends. FBV0600 -6 SOLD BY THE FOOT IN CONTINUOUS LENGTH. Aeroquip Push-Lok. Blue Hose. Slightly Textured Outer Wrap. Use Aeroquip or XRP Push On Hose Ends. FBV0800 -8 SOLD BY THE FOOT IN CONTINUOUS LENGTH. Aeroquip Push-Lok. Blue Hose. Slightly Textured Outer Wrap. Use Aeroquip or XRP Push On Hose Ends. FBV1000 -10 SOLD BY THE FOOT IN CONTINUOUS LENGTH. Aeroquip Push-Lok. Blue Hose. Slightly Textured Outer Wrap. Use Aeroquip or XRP Push On Hose Ends. FBV1200 -12 SOLD BY THE FOOT IN CONTINUOUS LENGTH. Aeroquip Push-Lok. Blue Hose. Slightly Textured Outer Wrap. Use Aeroquip or XRP Push On Hose Ends. 781006ERL 3/8 10 ft Super Stock Hose. Black. Use Earl's Push-On Hose Ends. 10 ft.
781008ERL 1/2 10 ft Super Stock Hose. Black. Use Earl's Push-On Hose Ends. 10 ft.
781010ERL 5/8 10 ft Super Stock Hose. Black. Use Earl's Push-On Hose Ends. 10 ft.
782006ERL 3/8 20 ft Super Stock Hose. Black. Use Earl's Push-On Hose Ends. 20 ft.
782008ERL 1/2 20 ft Super Stock Hose. Black. Use Earl's Push-On Hose Ends. 20 ft.
782010ERL 5/8 20 ft Super Stock Hose. Black. Use Earl's Push-On Hose Ends. 20 ft.
783306ERL 3/8 33 ft Push-On Hose. Black. Use Earl's Push-On Hose Ends. 33 ft.
783308ERL 1/2 33 ft Push-On Hose. Black. Use Earl's Push-On Hose Ends. 33 ft.